Transcription is a challenge most researchers will face at some stage in their qualitative research – and if you’re dealing with hours of recorded interviews or focus groups it can be a thorny one. While transcribing your own data can have significant analytical benefits (get close and personal with the material), it may not be practical for everyone – particularly if you’re time-strapped, can’t touch type or just have a low tedium threshold. Before I get into how we can make your qualitative research easier; by doing all the hard interview transcription work for you – and allow you to devote more time and energy to analyzing and writing your thesis or dissertation, why is it important to record and transcribe your research interviews? 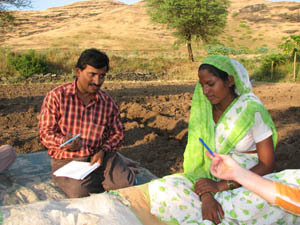 When carrying out your fieldwork, it’s important to record what your respondents are saying. In terms of why it is important to record and transcribe your interviews, there is a few reasons. When you are conducting the interviews, it does free you up to listen. So that all you need really need to focus on is taking notes and pay attention to the person or persons to whom you are speaking. It also minimizes some of the multi-tasking. I’m sure some of you are multi-taskers. I do it myself. But when you are in a situation where you really need to be listening to someone and capture some of the nuance and to be able to respond to it in a real time basis, knowing that afterwards you’re going to be transcribing the recording and getting the full transcript of what was said is really useful in terms of helping you to be efficient. Once the interview is complete, reading is definitely a faster exercise than listening. You can of course go back at any time to listen to the recordings that you may have made of your interviews of focus groups. But reading through the transcript, you can skim, it’s much easier to look for keywords – if it is a 90 minute interview, it doesn’t have to be a 90 minute exercise for each individual interview. It can just be maybe 15 or 20 minutes per interview to read the transcript and you are already through. So it is much faster. And finally reflexivity. As a qualitative researcher the act of reflexivity is important. When you are interviewing someone their responses are dependent on the way that you respond to them. The questions that you ask, if you interrupt. The way that you pose a question and how that steers the answer. And are you consistent over the course of the interviews, do you need to make changes. So reading through a transcript, it’s something that you are not only looking at what the other participant said, but you are also giving yourself an opportunity to reflect upon your actions and how that either has worked really well or how you might need to make changes along the way. There are 3 main different types of transcription. And there is an important distinction between the 3. The first is full verbatim transcription. So you get all para-language. Everything. That is all the nuance that we hear in language. So within that sentence, within that statement, there is some ums some ah my own speech text which I know I have, stutters, pauses, things like that. That is full verbatim transcription and it may be really important depending on your research goals, to capture all of that. It’s still the same meaning, but there is less of the nuance in there in terms of how someone might speak to you. It’s not quite how they speak in real life. The aim of an intelligent verbatim interview transcript has less to do with depicting accents or involuntary vocalization. Rather, accuracy concerns the substance of the research interview, that is, the meanings and perceptions created and shared during a conversation. Yet while still working for a “full and faithful transcription” (Cameron 2001: 33). This approach has found particular relevance in variants of ethnography (Agar 1996; Carspecken 1996), grounded theory (Charmaz 2000) and critical discourse analysis (Fairclough 1993; van Dijk 1999). I attended a webinar and learned about interview transcription services – it was okay. So you might sound a little smarter because you are just going through the, if you like, a script of a Hollywood movie. But it might not be how people actually speak. Now depending on the audience, depending on your subject matter, depending on what it is that you are looking for with that data, it may make sense for you to have an intelligent verbatim transcript. It may make sense to you to have a full verbatim transcription. Really what you do is up to you. I will say that it does impact time and cost depending on how specific versus edited you need that transcript to be. We strongly recommend you get intelligent verbatim or full verbatim transcription services for your research interviews. There are different options for transcribing. Obviously you could do it yourself. There are software packages out there, there is a number of foot pedals that you can plug into your computer or you could just hit pause-play-pause-play to try and transcribe the interviews yourself. You can have others researchers do it. Having graduate students is a popular way to do it. People post they are available for that, you can reach out and ask graduate students or undergrads or just other people that you may know that would be interested and have decent typing skills and would like to transcribe for you. The third way is to hire a professional interview transcription service that specializes in transcribing qualitative data. Someone like us, which I’ll talk about more detail here in a minute. It’s really easy to hire a professional transcription service. You have an audio file or a video file and you send it to us. We transcribe the audio or video file for you and provide you with a written transcript. You don’t do any work per se, but you pay us to do the work for you. There are also several other advantages to hiring weloty to transcribe your research interviews for you. Hiring a professional transcription service is probably the fastest way to go, but it also probably the most expensive. If you do it by yourself, it’s most likely the slowest way to go. A rough estimate is for every hour of audio you can anticipate about 10 hours of transcribing. If you have the opportunity to do that yourself and you don’t have the funds to pay a service, there is a time consideration to work into your overall schedule of research. You are literally buying time. A professional services can also provide you with formatted transcripts that you can directly import into your favorite qualitative analysis software. At weloty, we are happy to hear what you hope to get out of your specifically formatted transcripts, and adapt our templates to suit your needs. We offer 2 types of NVivo formatted transcription format: NVivo Heading and NVivo Synchronized. We also offer ATLAS.ti formatted transcripts. Let me illustrate a typical use scenario. NVivo Heading formatted transcripts are ideal for research studies in which people are a unit of observation/analysis. We’d tag each speaker identifier with a heading style; enabling you to auto code the transcripts into case nodes. Or we’d format the transcripts to enable auto-coding of nodes for each question and within that, for the interviewer and respondent. This eliminates an enormous amount of work for the researcher and makes data analysis easier. Transcript quality as an important aspect of rigor in qualitative research. Employing the services of a professional transcriber that is conversant with qualitative research is one of the strategies of avoiding transcription errors. As a result of their training, these professionals have a high degree of accuracy in the transcription process. In addition having transcribers on your team who are experienced and invested in the project and committed to accuracy at every phase is essential to the integrity of the study and necessary for establishing dependability and confirmability. Employing professional transcribers address the issue of trustworthiness (Dressler & Kreuz, 2000). That’s said, the way most professional services charge does vary and it is worth looking into transcription companies to understand how they charge. At weloty we charge per audio time, which means how long the recording is. If it’s a 30 minute interview they we charge x amount. So per minute. This is obviously impacted by things like the quality of the audio, noise in the background, the number of speakers, if it is just you dictating versus a 1-on-1 interview versus a focus group where there might be a lot of overlap of talking. That is harder to transcribe and will impact cost. Additional formatting, NVivo, ATLAS.ti normally attract an additional charge. Some transcription companies will bill you for the transcription time, meaning how long did it take to transcribe the file. In terms of did it take an hour to transcribe or did it take 5 hours to transcribe and they will give you a cost based on that. As students, and I’m sure most of you have this concern; the concern of cost. So I just want to give you a few tips on what to look for, and ask about, when you are looking for an academic interview transcription service. So these are some things that you can consider if you want hire a professional transcriber, but you have a very limited budget. Make sure you record high quality audio. Minimize background noise, and use a digital recorder of a microphone. Quality of recorded media largely determines transcription cost. If you know you are going to have a large number of recordings and you don’t have extreme time pressure, you can try to group them together and do a bulk order – you may get a bulk order discount. Most transcription services do offer student discounts. We do offer 25% student discounts from time to time. Keep an eye out for these. 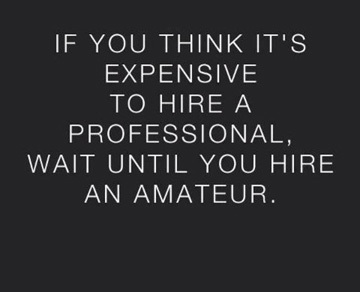 It is cheaper to pay upfront than if you wait till after the service is complete. And if you do have time, if you don’t need the transcript tomorrow, if you can wait 5 or 6 days or 2 to 3 weeks for larger projects, you get a better rate. I do encourage you to write the company or the individual to see if there are any type of discounts along these lines or anything that they might do to help you out. Agar (1996:153) writes, “Transcription is a chore.” At Weloty, we take the chore out of transcription. We are invested in your project and work to streamline data collection and analysis. This saves you valuable time and ensures a timely completion of your research papers, dissertations and theses. Our transcript allow you to look for preset or emergent categories. If you are using a software to streamline your coding process we can support you. We’ll format your interview transcripts so that you can easily import them into NVivo or Atlas ti and take advantage of the analytic power of these softwares. Confidentiality of our client’s data is important and hence have taken a number of steps to ensure data security. We sign confidentiality agreements and work with you to maintain compliance. We provide interview transcription services for audio files in any digital audio format and aim to offer a personalized service. Contact us for an interview transcription quote. Agar, Michael. 1996. The Professional Stranger: An Informal Introduction to Ethnography. Academic Press. Carspecken, Paul. 1996. Critical Ethnography in Educational Research: A Theoretical and Practical Guide. Routledge. Charmaz, Kathy. 2000. “Grounded Theory: Objectivist and Constructivist Methods.” Pp. 509–536. Handbook of Qualitative Research. Norman Denzin and Yvonna Lincoln, editors. Sage. Cameron, Deborah. 2001. Working With Spoken Discourse. Sage. Cook, G. (1990). Transcribing infinity. Journal of Pragmatics, 14, 1–24. Dressler, R. A., & Kreuz, R. J. (2000). Transcribing oral discourse: A survey and a model system. Discourse Processes, 29(1), 25–36. Duranti, A. (1997). Linguistic anthropology. Cambridge, UK: Cambridge University Press. Duranti, A. (2007). Transcripts, like shadows on a wall. Mind, Culture and Activity, 13(4), 301- 310. Easton, K. L., McComish, J. F., & Greenberg, R. (2000). Avoiding common pitfalls in qualitative data collection and transcription. Qualitative Health Research, 10(5), 703–707. Halcomb, E. J., & Andrew, S. (2005). Triangulation as a method for contemporary nursing research. Nurse Researcher, 13(2), 71-82. Fairclough, Norman. 1993. Discourse and Social Change. Polity Press. Poland, B. (1995). Transcription quality as an aspect of rigor in qualitative research. Qualitative Inquiry, 1(3), 290–310. van Dijk, Teun. “Critical Discourse Analysis and Conversation Analysis.”. Discourse & Society 1999;10:459–460.